These little faces are a reminder of some of the lives at stake when illegal puppy mills go unchecked. Thanks to their rescuers they're safe now, and well on their way to forever homes. 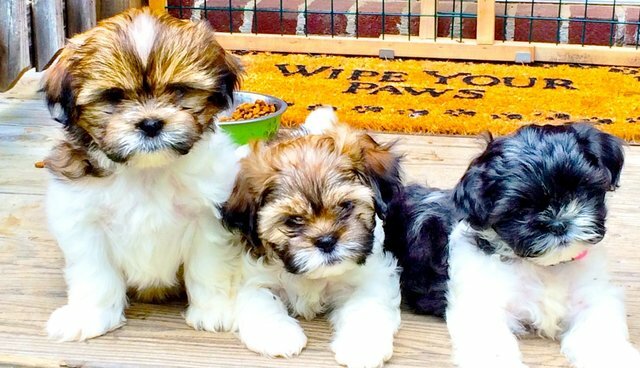 These fuzzballs are some of the 31 shih tzus taken from a Sherwood, Arkansas, puppy mill earlier this month - the bust rescued 10 puppies along with 21 adult dogs used for breeding. "I was at the shelter the day they were brought in and the condition of these dogs was horrific," a rescuer with Helping Hands For Little Paws, which found homes for the puppies, told The Dodo. The adult dogs were matted and uncared for, but after some marathon grooming sessions they're well on their way to being carefree pets for the first time in their lives. Helping Hands For Little Paws received a flood of adoption applications for the tiny puppies, which means they were able to choose the best homes possible for them. As for the owners of the puppy mill? They're finally facing the consequences for treating pets like products. "There are 62 arrest warrants for the two owners," a Helping Hands rescuer told The Dodo.